John Patrick Looney was a gangster in Rock Island, Illinois during the early 20th century. Looney served as the model for John Looney, a character in Max Allan Collins’ graphic novel Road to Perdition. The character was renamed John Rooney and portrayed by Paul Newman in the 2002 film adaptation, Road to Perdition. He began his career as a lawyer, achieved success, but soon became involved in illegal activity. At the height of his power he controlled much of the gambling, prostitution, illegal liquor and protection rackets in Rock Island. Looney soon ventured into politics, and went on to hold a prominent position in the Democratic Party. He would eventually run for, but lose, election to the Illinois State Legislature. He allegedly would have one of his prostitutes walk up to a man and throw her arms around him, and once she did he would snap a photograph. Looney would then threaten to publish the photograph in the Rock Island News unless a cash payment was provided. 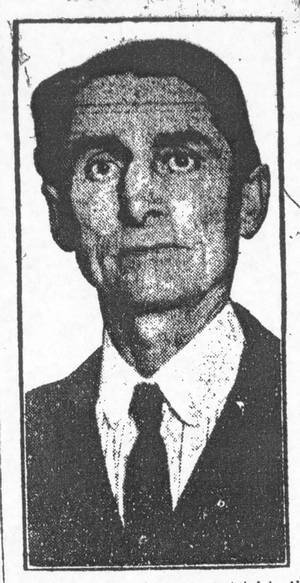 Looney’s empire came to an end when he was eventually indicted for murder after a gang war in 1922. He went on the run but was captured two years later. In 1925 he was convicted of murder and numerous other crimes. He served only eight and a half years.